Get your calendars out and mark the date! 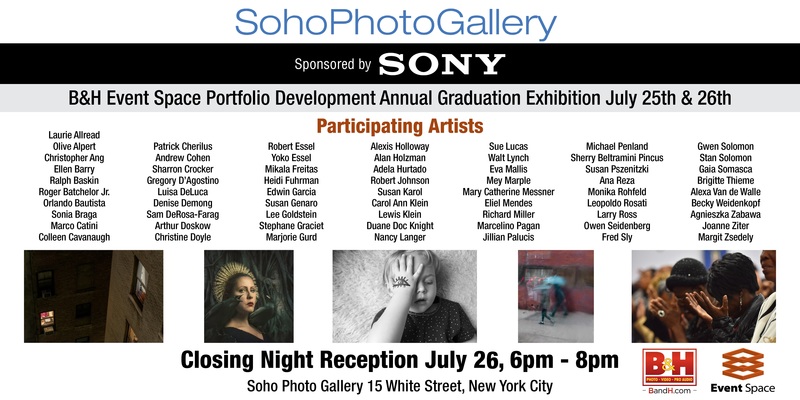 Everyone is invited to the B&H Portfolio Development pop-up gallery show at the SohoPhoto Gallery at 15 White Street, New York on July 25th and 26th. The closing night reception will held on the 26th from 6 til 8pm. My book “Sri Lanka – Everyday Life” will be represented by 3 images from the series. If you are available, please be sure to stop by and join in the celebration! Posted in New York City, USATagged B&H, B&H Eventspace, B&H Portfolio Development Program, Colombo, Exhibition, Galle, Kandy, Maciej Dakowicz Workshop, New York, New York City, Photography, Sri Lanka, Street Photography, Travel, Travel Photography, WorkshopBookmark the permalink.